Naptime’s Best Friend, For Your Baby! Today, I would like to share with you a collection of the best automatic baby rocker options and the familiar online resources where you can purchase them. What you are about to read is a modern solution that let’s baby and caregiver find rest together, take a look! First on our list is a baby swing that will have your baby drifting off into their own oasis. 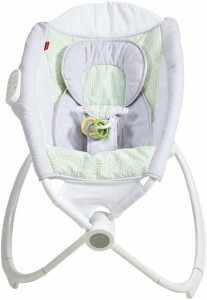 The Oasis Swing, designed by infamous baby brand, Graco, is a modern automatic baby rocker like no other. Number two on our list of best baby rocker options stems from another baby brand that you know and probably already love, Fisher Price. These experts in baby designed devices give us an automatic baby rocker that is equipped with Smart technology and has received over 1,000 5-star customer reviews. This next automatic baby rocker, available on Target.com, can be purchased at $269.99. 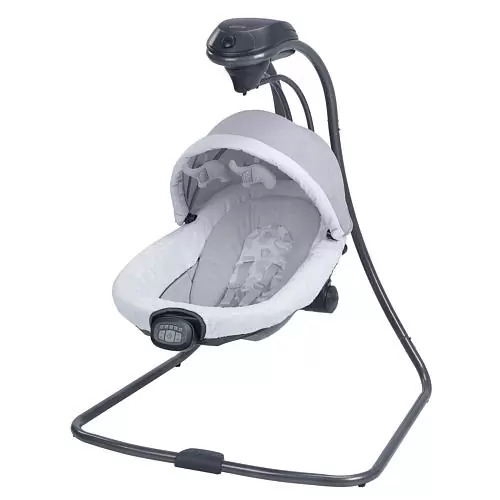 According to makers, this high quality baby rocker, “moves like you do.” The Plush mamaRoo Infant Seat comes equipped a detachable mobile and toy bar, a 3-point harness for safety comfort, and a waterproof protective design. This innovative baby sleeper can be found on Amazon.com and can be purchased new for about $168.00 (also available used). This automatic baby rocker is the best bouncing option if your baby is a fan of bouncing around. This rocker gives babies 30 full minutes of movement that imitates the feeling of mom. According to Amazon.com, the cradle itself is made with high quality fabrics for a cozy and comfortable design. The seat is equipped with a gentle heartbeat rhythm, 8 melodies, and 3 nature sounds. The Ingenuity rocker colors, as shown below, are very gender neutral, making this rocker a suitable pre-baby purchase. The Fisher-Price 4-in-1 Rock ‘n Glide Soother is on sale at Amazon for $108.99. 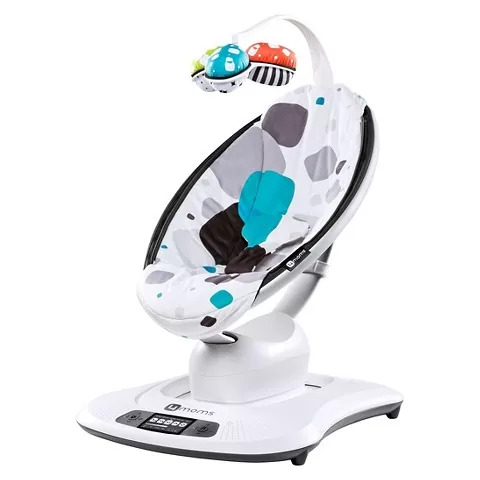 This automatic baby rocker has four different rock and glide motions that move head-to-toe or side-to-side so you can adjust it to the perfect setting that your baby reacts the best to. The Rock ‘n Glide Soother is portable, so it easily converts to a cradle rocker that works well for feeding and napping. An attached turtle toy and dangling toys will also give your baby some fun time! There you have it baby caregivers! We hope these options for the best automatic baby rockers have been useful. If you have a different modern automatic baby rocker that you love, let us know! Comment Below!